buysubscriptions.com - is the official subscriptions website of Immediate Media Co. Ltd. – an award-winning consumer media business and the third largest magazine publisher in the UK. Our fully responsive ecommerce website is continually optimised to improve the checkout process and customer journey to increase the chances of conversion. You can now choose to promote from over 40 fantastic magazine brands available through buysubscriptions.com, including: BBC Good Food, Radio Times, BBC Top Gear, BBC Gardeners' World, Match of the Day, BBC History, Lonely Planet Traveller, olive, BBC Focus, BBC Wildlife, BBC Countryfile, BBC Easy Cook, Today's Quilter, Cross Stitch Crazy, 220 Triathlon, Cross Stitch Gold, Gardens Illustrated, History Revealed, Homes & Antiques, The Knitter, BBC Sky At Night, Cardmaking & Papercraft, BBC Music, Perfect Wedding, Simply Crochet, Quick Cards Made Easy, Papercraft Inspirations, The World of Cross Stitching, Who Do You Think You Are?, Love Patchwork & Quilting, Cycling Plus, Urban Cyclist, Mountain Biking UK, Procycling, Simply Knitting, Mollie Makes, Simply Sewing, In The Moment, Official Tour de France Guide. We're seeing great results this year, so jump on board today! Earn £5 commission is paid on single subscription product orders over the value of £5.01. Subscriptions that are £1.01 to £5 receive a £2.50 commission. For subscriptions at £1, a £1 commission will be paid. DogFriendly Magazine - is packed with inspirational reviews, sharing dog-owner's experiences of holidays, days out and adventures that they've enjoyed with their canine companions. First published eight years ago it has now featured thousands of hotels, B&B, guest houses, cottages, campsites and attractions that its readers have enjoyed reviewing and visiting. 68 pages of informative, colourful articles. Six times a year; Tried and tested reviews on the best places to visit; Expert advice about travelling with dogs; Written by real dog owners, including many of the magazine's readers; First issue FREE; Annual Subscription SPECIAL OFFER £19.95 (regular price £23.94 (6 issues @ £3.99). Earn £3.50 per lead until you pass 500 leads then earn £5.00 per lead. Hearst Magazines UK - is the largest digital publisher in the UK. Our reach extends to 1 in 3 UK women and 1 in 4 UK adults. The portfolio comprises 19 magazines and 20 digital properties. Consumer titles: All About Soap, Best, Company, Cosmopolitan, Country Living, ELLE, ELLE Decoration, Esquire, Good Housekeeping, Harper’s Bazaar, House Beautiful, Inside Soap, Prima, Red, Real People and Reveal. The group publishes three magazines, Men's Health, Runner’s World and Women's Health through Hearst-Rodale UK. Digital properties: allaboutsoap.co.uk, allaboutyou.com, company.co.uk, cosmopolitan.co.uk, digitalspy.co.uk, ELLEuk.com, elledecoration.co.uk, esquire.co.uk, handbag.com, harpersbazaar.co.uk, insidesoap.co.uk, menshealth.co.uk, netdoctor.co.uk, redonline.co.uk, runnersworld.co.uk, sugarscape.co.uk, triathletesworld.co.uk, womenshealth.co.uk and zest.co.uk. Our world class brands are available on multiple platforms. Here are some great reasons to start promoting us straight away! Customers save up to 59% when they order online (compared to the standard cover price). We have monthly offers including discounts and subscriber benefits, such as free gifts. You will earn a £4 default commission on each subscription acquired via our special Affiliate Window landing page www.hearstmagazines.co.uk/aw15/. We're offering this on the following titles: Country Living, Elle, Elle Deco, Esquire, Good Housekeeping, Harpers Bazaar, House Beautiful, Men's Health, Prima, Red, Runners World, Women's Health. iSubscribe - sell subscribitions to over 800 magazine titles online and offer your visitors substantial savings. iSUBSCRiBE pay 7% commission for all completed magazine subscriptions. Magazine.co.uk - is the UK's leading magazine subscription site. At magazine.co.uk we’re mad about magazines! With over 500 titles and fantastic discounts, magazine.co.uk really is the market leader in the magazine subscriptions industry. We have the best URL out there - www.magazine.co.uk - it literally does what it says on the tin. This helps both with click through rate and conversion rate. The conversion rate of the site is fantastic and with constant testing it means the user journey is constantly improving. With literally thousands of of subscriptions being generated each month, this program really offers you a great chance to make some money. Program details: CPA of £4 for all sales 30 day cookie period Non-incentivised traffic only. Pocketmags - is a 'digital newsstand' where consumers can purchase single issues and subscriptions to a wide range of magazines from across the globe. 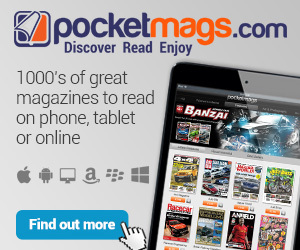 A single purchase on Pocketmags gives readers access to their digital edition(s) on various devices including PC & Mac computers, iPad, iPhone and Android devices. Just push your users to our site and earn 10% commission on all sales! Select Your Magazine - Earn LEADING RATE COMMISSIONS whilst reducing your carbon footprint! Sign up to the UK's ONLY LOW CARBON magazine and newspaper subscription superstore! At SelectYourMagazine.com we have the lucky job of saving the planet AND providing our customers with the UK's largest range of magazine and newspaper subscriptions online. We're partnered with most of the major paper based publishers to help consumers read the ‘old-school’ way without the planet suffering quite as much! As a SelectYourMagazine.com affiliate you and your users will have access to our broad range of titles, all the best offers, free gifts & special discounts whilst helping reduce your carbon footprint! We will plant trees according to how many magazines we help sell... so – next time you Select Your Magazine – make sure you Go Green with www.selectyourmagazine.com! For Direct Debit subscriptions SelectYourMagazine pays a flat fee of £6.25. For Credit/Debit Card payments SelectYourMagazine pays 10% commission to all affiliates.